Your go-to speaker on business, workplace, and career topics. Uses energy, experience, and humor to make sure topics shared are immediately applicable to your audience members at work and beyond. "If you are looking for a speaker who can transform the people inside your organization to higher levels, you need to book Dr. Dan right this minute! His strategies are practical, effective, humorous, and full of insight. The wealth of information and resources he provides is awesome.” - R. Yanez, Political Strategist and Campaign Manager, Washington D.C. Looking for a speaker to engage and energize your audience? 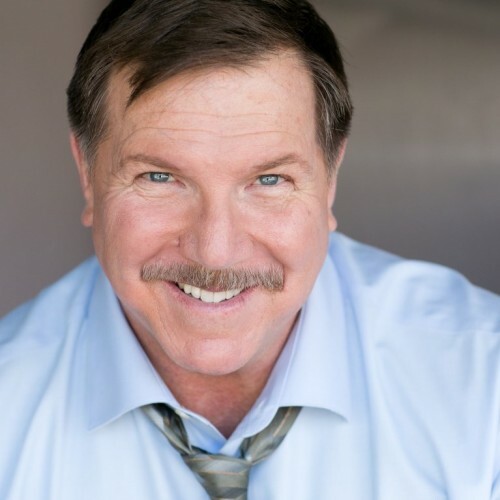 Dr. Dan Strakal is an expert on the changing workplace, business life, and career success and is known for his interactive and humorous speaking style. Dan is a master at getting audiences engaged so that they can instantly apply the insight and advice he shares in each presentation. Dan’s presentations are full of practical and relevant material. Dan adds value by customizing each presentation specifically to your audience. His sessions are highly interactive and Dan guides audience members to try strategies during each customized presentation. This leads to audience involvement and ensures that audiences can apply what they have learned into their day-to-day lives, both in and out of the workplace. Dan’s background in adult learning and organizational behavior, combined with over twenty years of hands on business experience from the front line to the executive ranks, gives him the practical expertise to motivate and educate your audience. As a former Fortune 500 executive, a high level manager within the public and private sectors, a successful administrator and faculty member in higher education, and now as a successful business owner, Dan uses practical real-life examples to show rather than just tell, audiences how they can succeed. If you want your audience members to learn new strategies to become more successful at work and in life, book Dan today. "I work with dozens of speakers' bureaus, event coordinators, and conference planners each year. I know the effort these folks put forth to give their audiences and organizations the best possible presentations and content. Along with presenting practical and relevant topics, I feel my job as a speaker is to help make the people who book me the heroes and heroines within their companies." Research indicates that employees are not working at peak performance and many workers confirm that they are giving considerably less to their jobs than they can. This presentation will provide participants with additional tools to increase employee performance and motivation and provides six steps to increasing employee performance and productivity. This presentation examines methods of managing disagreement before it escalates into anger and conflict. Learn the principles for managing disagreement and skills and strategies for resolution. Discover how communication really affects business relationships and outcomes. Participants will learn how to pay attention to the language of “where, when, why, and how” they do things. With an ever-increasing dependence on technology for communication, we will focus on skills to improve face-to-face communication as this type of workplace situation most often involves conflict, feelings, or customer service issues. Using a combination of ancient wisdom and modern-day allegories this session provides audience members with strategies that will help them to effectively and holistically achieve balance in 7 key areas of life. This presentation will assist participants to learn what they need to know to match the best applicant to job openings. Participants will learn how to make every interview productive, focused, and successful as possible. Behavior-based, performance-based, open-style, and traditional interview strategies will be shared. What was once chiefly an informal process applied arbitrarily has now been formalized by many organizations as a vital part of their staff development program and to capture valuable company history and knowledge before it “walks out the door.” Presentation will provide an overview and explain how mentoring can be effectively implemented in an organization. Understanding and applying the critical thinking process is the key to solving problems and making good decisions. Participants learn to develop great ideas, think effectively, evaluate arguments, and develop explanations with creative solutions. In this energetic presentation, ideas will be presented to attendees to help them identify and resolve their stress points in and out of the workplace. Using humor and light-hearted anecdotes, Dr. Dan will lay out a lively six-step process using the letters in the word STRESS as learning cues. Improve productivity and decrease stress by learning the basic principles of time management. This presentation shares planning aids, worksheets, case studies, and time logs to help you customize your own time management program. Learn to make the best use of your time through effective planning and the best use of your energy. Participants will be provided an overview of how to ensure leadership continuity in an organization by implementing strategies for succession management to build talent and establish a system that helps match this talent with tasks within their organization. In this dynamic presentation, filled with personal reflections and seasoned with just the right amount of humor, Dr. Dan Strakal will share ideas with attendees that will help them to create successful workplace relationships between and among various generations. Change and transition can lead to both opportunity and crisis. This presentation will help attendees understand how to manage change in the best possible light and to learn effective strategies on how to work together to build mutual support, move toward empowerment, ensure a positive outcome for the transition. Career development is increasingly regarded as the shared responsibility of employee and employer. This presentation will provide an overview of the various tools that exist that organizations can use as part of their career development system. Also covered are the three distinct phases/steps necessary to develop a successful career development program. Learn how to form an empowered and motivated workplace team. Participants will learn methods that turn groups into highly productive work teams with heightened performance. Activities focus on planning, organizing, motivating, goal setting, building trust, and emphasizing the positives. "Dan showed a real knack for weaving his own real life experience into his presentation. The stories he shared with us as to how he has managed his own life balance were as humorous as they were insightful. He used just the right amount of humor and we not only got a chance to laugh at the truth but we were also reminded that change and transitions are the norm and reality in the world today. I highly recommend Dr. Dan Strakal if you are looking for a speaker, workshop facilitator, or Master of Ceremonies. When the opportunity arises, I know we will have him back." "Talk about panic! I called Dan at the last minute because my speaker had bailed on me and he literally stepped in and saved the day. I looked good and my group was totally blown away by Dan's energy, passion, and message." "Despite the short notice, it was obvious that you took time to research and get acquainted with our group and what we are about. Your relevant examples really added a personal touch to your talk and, in my opinion that is a sign of a true professional speaker. Your presentation was informative as well as entertaining and your delivery approach and sense of humor were a great fit with our members. We can be a tough group but you really rose to the occasion." "Thanks to Dan Strakal, I have increased my confidence and social skills during networking interactions. Using the ideas I learned in Dan's presentation, I have been able to land more clients, keep my staff motivated, and create a more successful setting in my workplace." "We book many speakers each year and it was so great to work with a true professional. The event planners and I took it as a compliment that you obviously spent a great deal of time preparing and customizing your presentation for our organization. Your presentation was a hit with our group and most members have personally thanked me for lining up such a great speaker. Feedback I have received thus far shows that audience members continue to find your blending of real-life experiences along with the practical tools you presented to be very helpful as they apply them to their personal and work life situations. Thank you again so much for the wealth of enlightening information you presented. If I can ever act as a speaking reference or assist you in any way, please do not hesitate to call me." “This presentation was a life changing event for me. I learned that I don’t need to control every facet of change but that I can control my reactions. The reminders and suggestions on how to keep one’s sense of humor intact were especially welcome and helpful!”-- Kevin Thompson, Senior Team Analyst, Accenture, Ltd.
"As a recording artist, business manager, and entrepreneur, I find Dr. Dan's approach to stress reduction and success to be priceless. He has a way of keeping you on track and at the same time motivated to grow, learn, and be more than you thought you ever could. I'm in the process of growing my business to the next level and will definitely continue to apply Dan's techniques. If you want to reach your success, I encourage you to get in touch with Dan right away." on topics related workplace and career success. Find out more about Dr. Dan Strakal at http://www.capableconsulting.com.